“A small London publisher is making big waves in the world of chapbooks. A chapbook of a Kelowna-based poet’s work published by Karen Schindler’s Baseline Press has been shortlisted for the bpNichol Chapbook Award. Click here to read the full article on the website of the London Free Press. No Pipelines Wknd, Vancouver, Apr ’14. 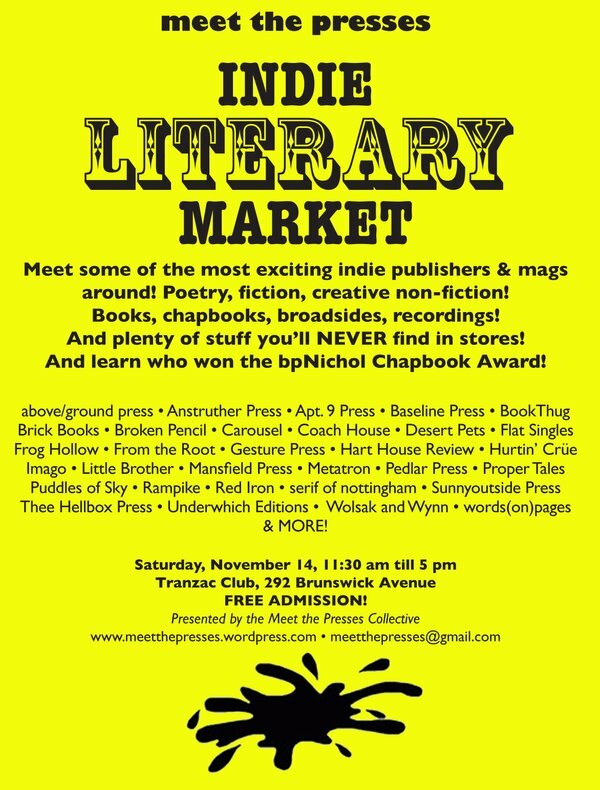 Fall 2013 Indie Literary Market!! SHORTLIST FOR THE bpNICHOL CHAPBOOK AWARD ANNOUNCED! Three Cheers for Small Press! 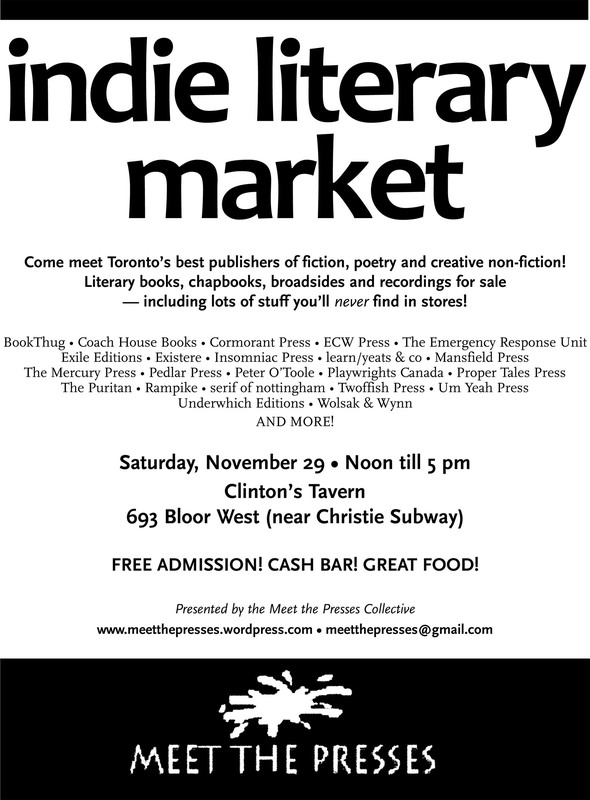 The Meet the Presses INDIE LITERARY MARKET on November 29 was a blast. and especially to all the enthusiastic members of the public who turned out for this event. Thanks, too, for emptying your pockets in the name of indie Can-lit! 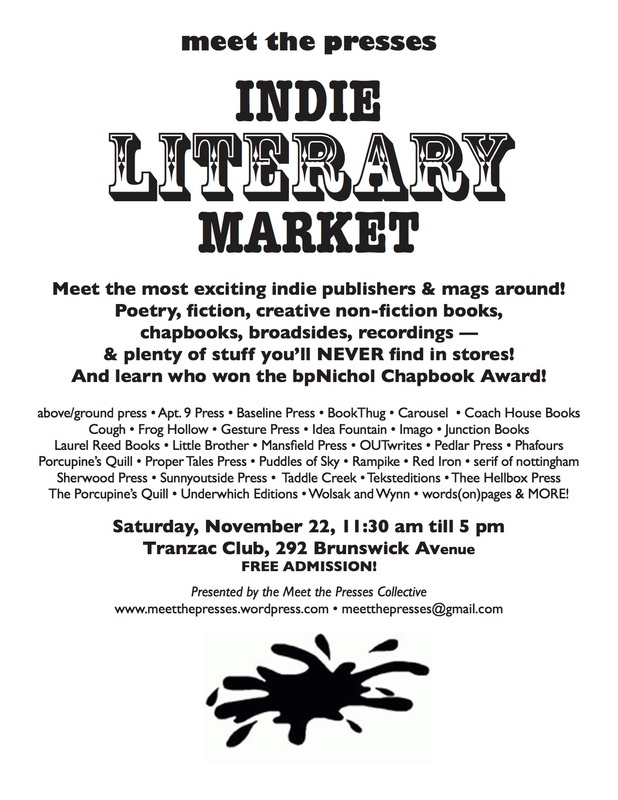 Click here to view photos from the Indie Literary Market. Stay tuned in the new year for more events devised and put on by the Meet the Presses collective. If you’d like to join our email list, just drop us a note at meetthepresses@gmail.com.